August 18, 2015 /0 Comments/in Hypoxic Ischemic Encephalopathy (HIE) /by Reiter & Walsh, P.C. HIE, also known as hypoxic ischemic encephalopathy, birth asphyxia, or neonatal encephalopathy, is a dangerous brain injury that can occur when a traumatic birth restricts the flow of oxygen to a baby’s brain. Currently, the only known treatment for HIE is called hypothermia treatment. Hypothermia treatment, also known as brain cooling, can be used to limit the damaging effects that HIE can have on newborn baby. If a baby’s birth injury is not treated promptly and properly, there can be devastating, lifelong results, such as cerebral palsy. In the following infographic, our Michigan HIE attorneys will provide a brief overview of hypoxic ischemic encephalopathy and hypothermia treatment. 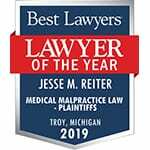 Should you have any questions or case inquiries, please contact the Michigan birth injury attorneys from Reiter & Walsh ABC Law Centers. If your baby has suffered from HIE or another birth injuries that you believe resulted from medical malpractice, please reach out to our legal team today. With nearly three decades of specific experience in the field of birth injury law, the birth trauma attorneys at Reiter & Walsh ABC Law Centers have the skills and knowledge necessary to win complicated cases related to HIE and cerebral palsy. Our Detroit, Michigan birth injury attorneys will provide you with a free case review, answer your questions, and inform you of your legal options. We are available to speak with you 24/7, and you may contact us in whichever way best suits your needs. 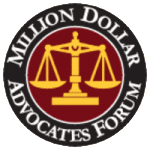 Feel free to press the Live Chat tab to the left of your browser, email us, call us toll-free at 888-419-2229, or complete this online contact form.